Ada pertanyaan untuk Radisson Hotel Brunei? Terletak strategis di Kianggeh, Radisson Hotel Brunei adalah tempat ideal untuk memulai menjelajahi Bandar Seri Begawan. Kehebohan pusat kota terletak hanya dari sini. Lingkungan yang terawat dengan baik serta lokasi yang berdekatan dengan Museum Royal Regalia, Brunei History Centre, Taman Haji Sir Ali Saifuddin memberikan nilai tambah untuk hotel ini. Radisson Hotel Brunei juga menawarkan berbagai fasilitas untuk memaksimalkan pengalaman menginap Anda di Bandar Seri Begawan. Fasilitas terbaik hotel ini termasuk layanan kamar 24 jam, WiFi gratis di semua kamar, toko oleh-oleh/cinderamata, satpam 24 jam, layanan kebersihan harian. Akomodasi hotel telah dipilih secara cermat demi kenyamanan maksimal dengan adanya televisi layar datar, cermin, ruang keluarga terpisah, akses internet - WiFi, akses internet WiFi (gratis) di beberapa kamar. Hotel ini menawarkan fasilitas fantastis, termasuk pusat kebugaran, kolam renang luar ruangan, spa, pijat, kolam renang anak, untuk membantu Anda bersantai setelah sepanjang hari beraktivitas di kota. Radisson Hotel Brunei adalah pilihan yang cerdas bagi para wisatawan yang berada di Bandar Seri Begawan dan menawarkan pengalaman menginap yang menenangkan setiap saat. hotel ini letaknya cukup strategis, di tengah kota namun tidak di tempat ramai (mall atau pertokoan). kami diberikan layanan tambahan sebagai complimentary dan ini sangat menyenangkan. pada saat kami menginap, jalan di depan hotel digunakan untuk lomba marathon, sehingga kami bisa ikut menonton acara tersebut. I really enjoyed my stay at the Radisson Hotel in Bandar Seri Begawan. Not only was the room well-appointed and comfortable, but it was also ideally located for me to join the National Day Parade on the 23rd of February. The breakfast was delicious and I was really pleased to be given a late check-out without any hassles or having to pay more. I will definitely be back! This hotel has always been my favourite. Whats not to like, the foods awesome, the room is nice, love the bed its so cosy, very calming environment! Plus the spa is superb! The employees are very friendly n helpful! The only problem i encoutered during the stay was the parking lot spaces especially during a big event in the city. Hopefully they will improve the parking system because as a guest we expect to have a proper parking space provided by the hotel. The hotel is right in the center of everything!! Every place of interest is just walking distance! 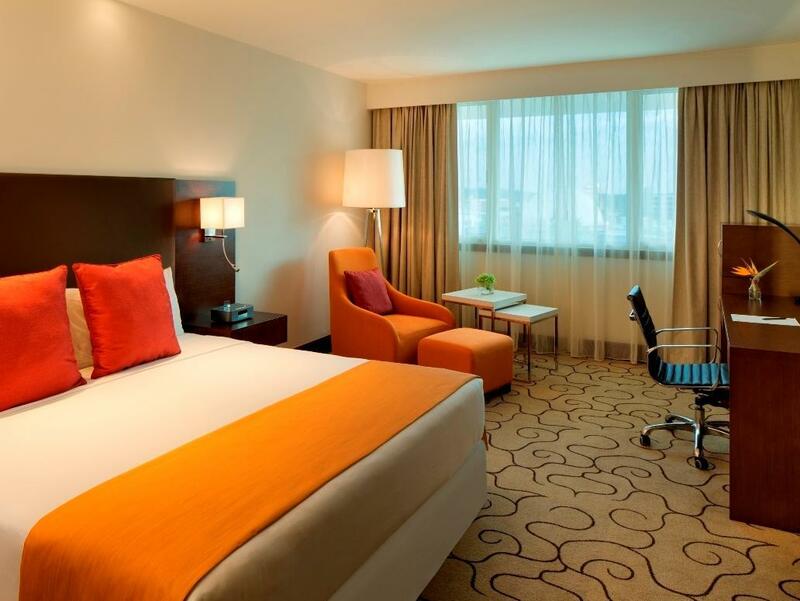 The room is very spacious & clean most especially the bathroom. The breakfast is perfect! All staff are very friendly & helpful. They will accommodate all your needs. We had a perfect vacation because of the hotel service & accommodation. Perfect in more ways than one. Good hotel to stay but surround let of eatery shop and shopping outlet. Nice location, just a few hundred meters from the city center. The staff are friendly and helpful, and professional too. The food is quite awesome also. 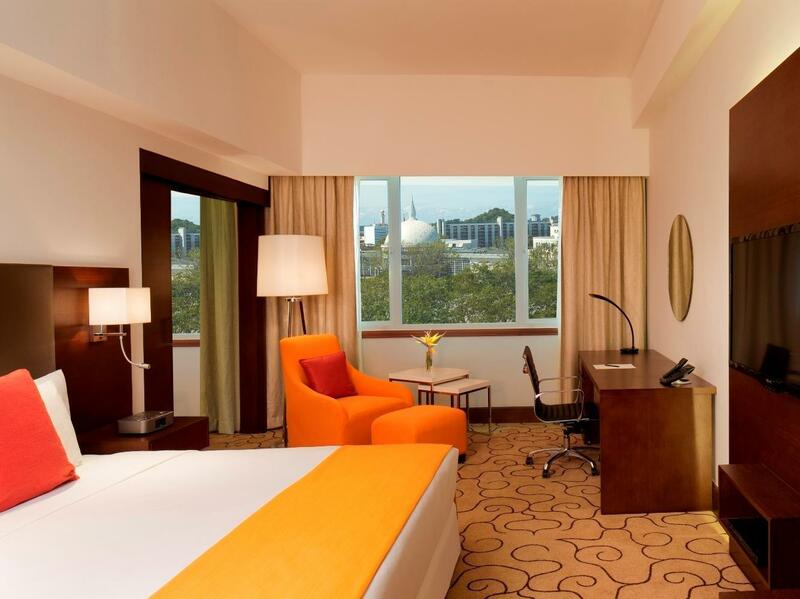 I enjoyed my recent stay at the Radisson Hotel in Bandar Seri Begawan, and wouldn't hesitate to book another room there. 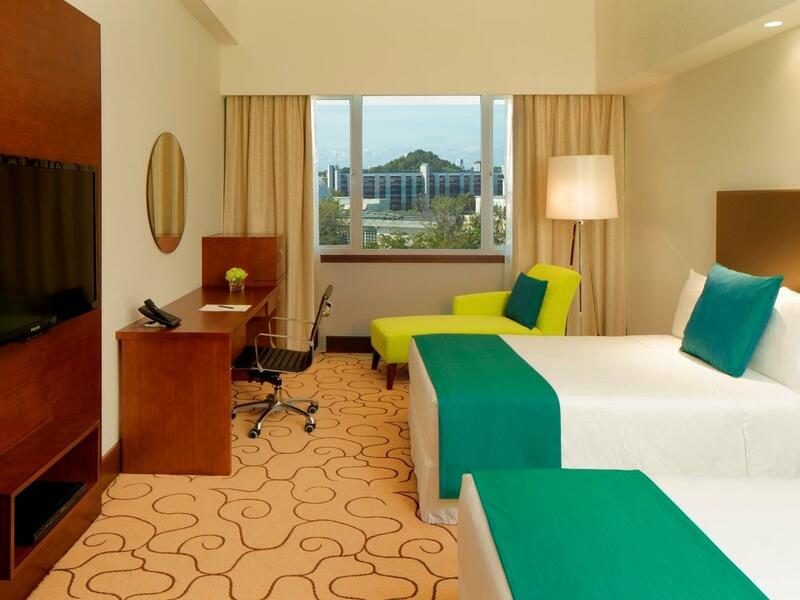 The check-in/check-out staff was efficient and courteous and the room was comfortable. Even the Internet worked really well considering how busy the hotel was when I stayed there. pls ask your door staff to be a bit polite. Dont ask for room number when someone need an umbrella to go outside as if he/she going to take it home. He is a short Pilipino guy. If arent for the staffs politeness and welcoming attitude at the counter, i will certainly give a star for the staff. Location: walking distance to the city centre and the Royal Regalia is just within 5 minutes walking. Cleanliness: very clean and the bed is very comfortable too!!! Staff: enjoy every single moment of politeness coming from each of the team there! Facilities: small gymnasium, but equipment well maintained; good hi speed wifi as well; restaurant served excellent food. Overall experience: loving this hotel, will gona make a comeback again. 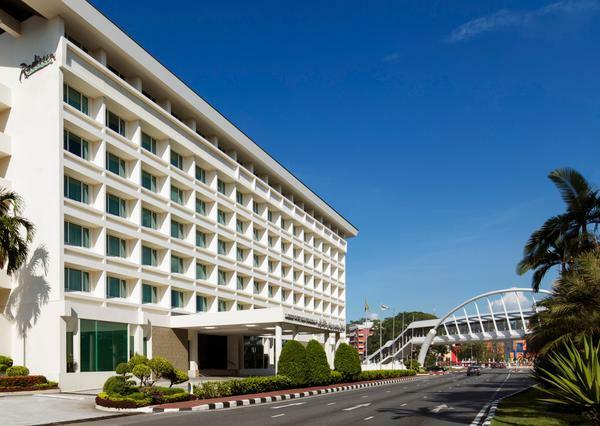 I enjoyed my stay at the Radisson Hotel Brunei, the night before the 33rd National Day Celebration, and will not hesitate to book another room there on a similar occasion. The rooms are spacious and comfortable, the included breakfast on the 23rd Feb was tasty and very well-managed, especially given that it was a particularly busy morning. The hotel staff was friendly and helpful at all times. Dependable hotel 5 minutes from the city center with topnotch breakfast and dinner buffets. Parking is a bit cramped and nothing separates the pool area from the restaurant space other than a glass wall, but we had a great stay. Highly recommended. I had a very hectic day outside the day that i checked in. I checked in very late at 5pm, i was lucky because the hotel staff still hold my room and reserve for me. Everything there is good except it's quite noisy in the night which i tried to catch my sleep early at 10pm. Overall, all is fine. Very nice hotel, room was clean and spacious. All well maintained. Pool open till 10 pm. Air conditioner working perfectly. Good selection of TV channels. Internet working well. Food very good, incl. room service. Staff super friendly, helpful and polite. Convenient for business travelers, please request for post check-out shower service from the front office. When you check-out, you can leave your luggages with the concierge and request for the complimentary shower service when you retrieve your luggages later in the day. 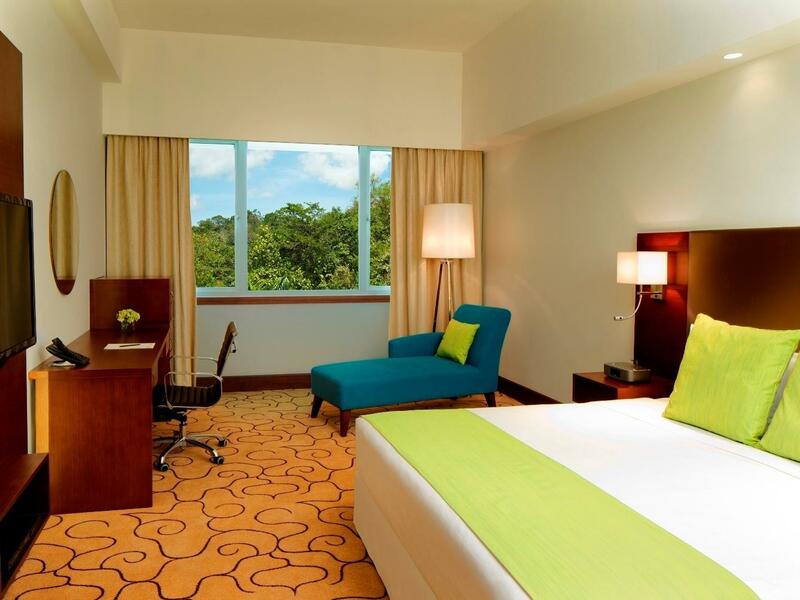 I was overall pleased with my stay at the Radisson Hotel Brunei, and would definitely consider staying there again. The room was clean, comfortable and outfitted with all the amenities I required. The quality of food and the service at both the dinner buffet and the included breakfast was excellent, too. However, the water in the pool looked decidedly murky. The pool should definitely be cleaned more frequently. In addition, I couldn't access the Internet from my room. I don't know whether my room was out of range of the WiFi or whether the network was overtaxed, but it was a bit of an inconvenience because I had some work to do online. Stayed there on multiple occasions, everything about the hotel is good. The hotel and rooms look clean and feel clean, the food is great (because in Brunei you eat at the hotel at least twice a day) and the location is pretty good. Nothing to complain about and wished all the other hotels i travel to would be as good. And to top it off it's dead quiet at night, so you sleep like a rock.